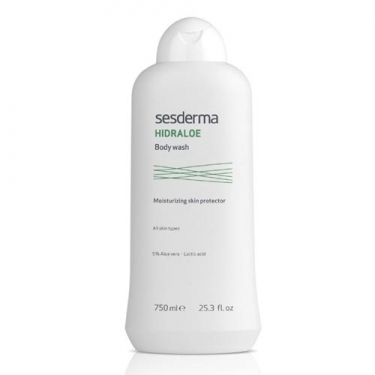 DESCRIPTION: Hidraloe Body Wash from Sesderma is a shower gel designed for sensitive and dry skin. Formulated with oat extract, lactic acid, Aloe Vera and Triclosan, it moisturizes, softens and protects your skin. The texture is creamy and easy to rinse.